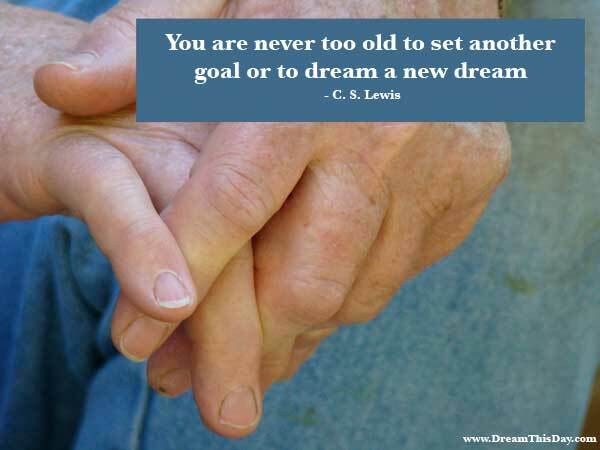 Living a long life is an important goal, as long as it is a happy and productive life. I hope you find value in these quotes about how to enjoy a long life and survive getting older without growing old mentally and emotionally as you age. that, in the dinner, the sweets come last. These are part of scenery, not the seer, who is immune to any form of change. My only fear is that I may live too long. This would be a subject of dread to me. which I once thought right but found to be otherwise. I could not, at any age, be content to take my place by the fireside and simply look on. Life was meant to be lived. Curiousity must be kept alive. one for which they may pledge their lives, their fortunes and their honor. but one must not drag it along into old age. and by grasping the link between belief and biology. you can receive all of life as a marvelous gift. Adding one to my count of days, or postponing a feared death by another day do not inspire me. and with focused intent and good fortune, find an ample measure of my own joy. and lack of purpose with self-actualization. and are just as wrong as all previous ages that thought so. Especially as we age, gentle stretching is one of the best things we can do for our bodies. by those who wish to be happy and by those who wish to age gracefully.